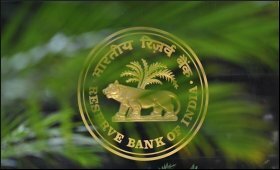 The RBI Wednesday said global trade has continued to expand, and it is expected and this should help the country's export sector. Export growth is expected to improve further on account of improving global demand, said minutes of the February central bank policy meeting. But it raised concern over elevated commodity prices, especially of oil, which may act as a drag on aggregate demand. Considering exports prospects and other factors including GST implementation, revival in investment demand and recapitalisation of public sector banks, GVA growth for 2018-19 is projected at 7.2 per cent overall – in the range of 7.3-7.4 per cent in H1 and 7.1-7.2 per cent in H2 – with risks evenly balanced, it added. It points out that merchandise exports bounced back in November and December. "While petroleum products, engineering goods and chemicals accounted for three-fourths of this growth, exports of readymade garments contracted," it said. With import growth exceeding export growth, the trade deficit for December was US$ 14.9 billion, it added.